When registering for the State Convention, please remember to also register for the 2018 All Convention Social. 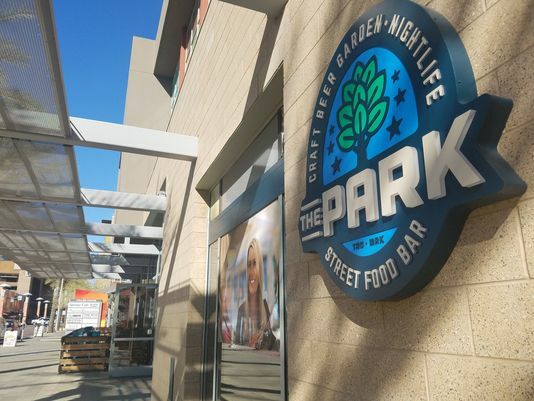 This year’s social will be held at The Park, located at 3 S 2nd St #114, Phoenix, AZ 85004. Join us from 5 pm – 8 pm on Wednesday, October 24th for a chance to network with other professionals in a great atmosphere. There is no fee for Current Members that are registered and attending the State Convention. Individuals that are not attending the State Convention my join us as a guest for a fee of $10. Arizona Health and Physical Education will cover appetizers, you cover the drink. Registration Deadline to attend at no cost is Friday, October 12. There will be a $5 fee added after the 12th and a $10 if you wait to register onsite. Please use the links below to register for both the State Convention and the All Convention Social.